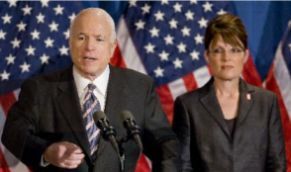 By Martha M. Hamilton on Monday, April 9th, 2012 at 11:27 a.m.
With Mitt Romney looking increasingly like the Republican Party's nominee for president, speculation is centering on potential candidates for vice president. Four of the names mentioned most frequently are Florida Sen. Marco Rubio, Wisconsin Rep. Paul Ryan, Ohio Sen. Rob Portman and New Jersey Gov. Chris Christie, all of whom represent states that are important to winning the general election. As you'll see by clicking on their names, PolitiFact has checked their statements often. Other possible candidates from the largely white male list include Virginia's Gov. Bob McDonnell and Indiana Gov. Mitch Daniels. Then there are other potential picks who might bring diversity to the ticket. Besides Rubio, they include New Mexico Gov. Susana Martinez, whom we've checked only twice; Louisiana Gov. Bobby Jindal (four checks); and South Carolina Gov. Nikki Haley (no checks). And finally, there's the candidate that former Republican vice presidential candidate Sarah Palin said would be at the top of her list, Florida Rep. Allen West.